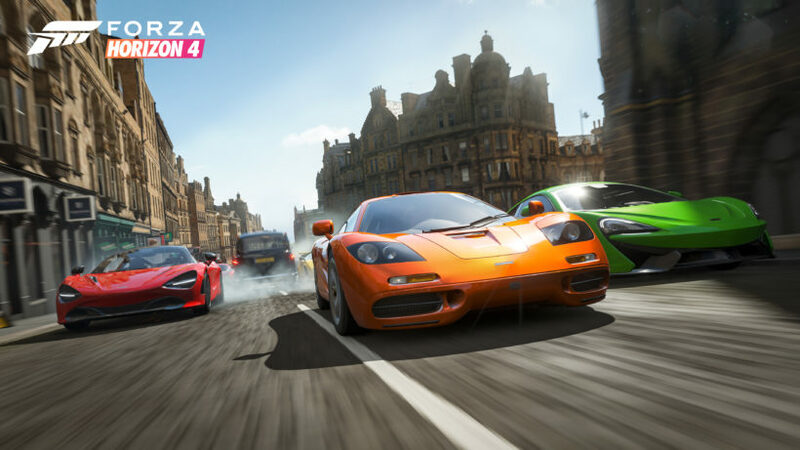 Forza Horizon 4, new entry in the famous racing franchise was released last week for Xbox One and Windows platform and the game is going strong in the United Kingdom’s sales chart. The Forza Horizon 4 managed to claim third spot in UK’s top ten sales of last week, behind FIFA 19 and Assassin’s Creed Odyssey. On the other hand, reports suggest that physical sales of Assassin’s Creed Odyssey has declined by 26%. According to Xbox UK director Harvey Eagle, Forza Horizon 4 becomes the fastest selling game in the series in United Kingdom in just the first week of its release. These stats contain the results of UK, so its hard to say the game’s position across the world. 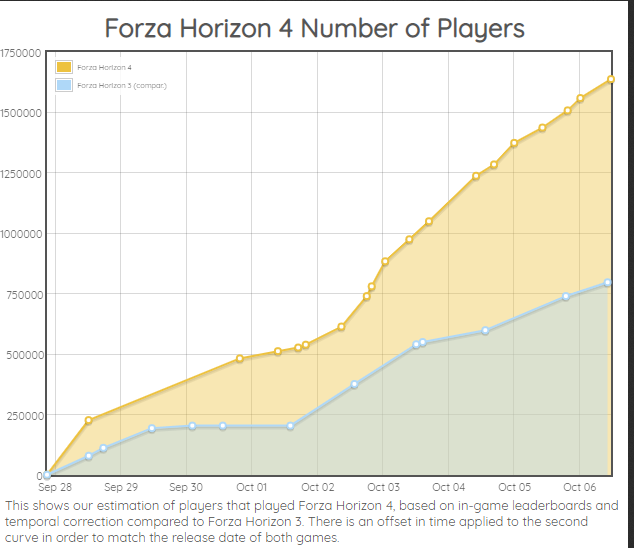 However, we have another data released by Kudos Prime in a form of graph, which shows player stats touching above 1.63 million, which is about 114% more than the previous game in the series. The game is now available for Windows 10 systems and Xbox One. Stay tuned for more updates!